Looking for a way to refresh your go-to sneakers? We recommend you try sheer socks. While sporty cotton styles may be your day-to-day choice, swapping them out for something a little more fashion-forward is an easy way to make them appropriate for activities outside of the gym. It's a trick street style trendsetters use when they want to go for something a little less athleisure-focused but wear comfy sneakers. From slouchy netted styles to ones with delicate details, the sheer sock options on the market run the gamut. And the best part is that you can try this trick out for as little as £4. So if you're ready to update your sneaker styling this year, we recommending giving this pretty trend a try. They may not keep our feet warm, but our ankles have never looked so good. These ultra-sheer socks look great with a long skirt. Sheer paneling and pops of colour make these a must. You'll have fancy feet in these. Strips of sheer material are an unexpected spin on the trend. Try these cool red socks with contrasting sneakers. 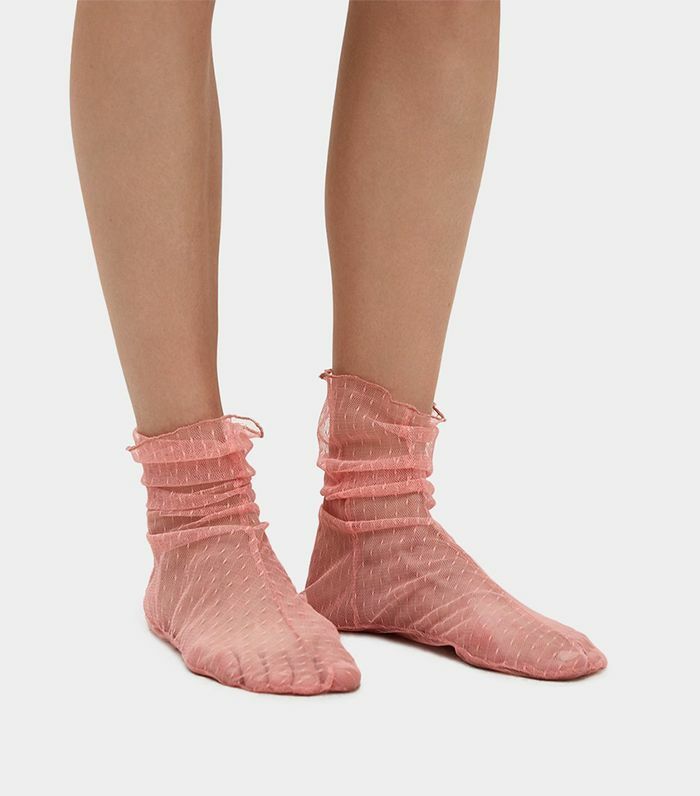 Ruched socks are just the right amount of scrunchy. A tame take on sheer. If you're wild for prints, try these socks on for size. Style these socks with a classic style like Converse or Nike Cortez. You could easily dress these socks up with heels.